Half way through the show at Royston we noticed someone had stolen the flag from the golf course and attempted to steal the ball from the green. What makes a brush bristle with a bit of red paper stuck to it worth stealing? Yes we did check the floor and no it wasn't there. Seriously, someone looked the layout and decided to nick a 4mm scale golf flag? We are talking a bristle with a bit of paper stuck to the end, not a valuable locomotive. The crime scene is shown above. If you have any information that might lead to the apprehension of the perpetrator of this highly annoying crime, please let me know. 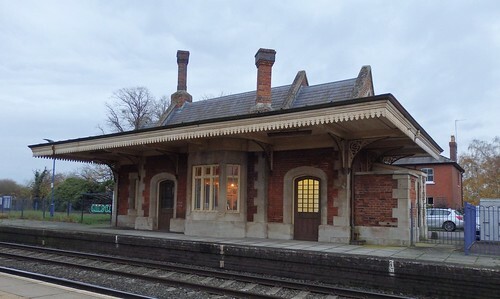 Arriving at Culham station recently, I was immediately taken by the stationmaster's house. 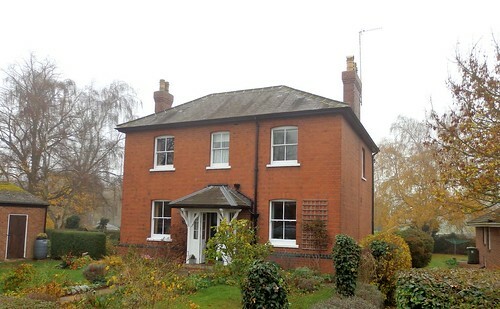 It's a lovely simple but reassuringly solid building. The sort of dwelling that speaks of days when organisations assumed they would exist, largely unchanged forever and wished to project an air of solid dependability. Unlike my bank which has moved from a stone-fronted building to a shop. Anyway, this is a standard GWR design replicated at other stations and as such would make a good subject for a kit or ready-to-plonk model. For the scratchbuilder, the pitfalls are as usual the windows and especially the brickwork around the curved tops. Solve that, possibly with laser-cut sides, and you are on to a winner. For steam day modelling, and the current scene, the garden needs a vegetable patch and probably flowers that the occupant would tend between duties. They are working on the house, although as Pendon Parva is based on, rather than a model of, Culham, the building will be on the other side of the tracks. It's looking good though. It was with some trepidation that I put the vintage speedboat back on the water. If I'd not done a good job sealing up the back of the hull, all my efforts would end up on the bottom of the lake entertaining the fish. Maybe worse, what if none of these modifications had made any real difference to the way the model handled? As well as the rudder replacement, I'd also re-positioned the batteries further forward under the prop shaft to move the centre of gravity forward. I don't want to put weight in the nose, but the front needs to be kept down. On the water, despite my lack of testing in the bath, the model sat pretty level. A good start. 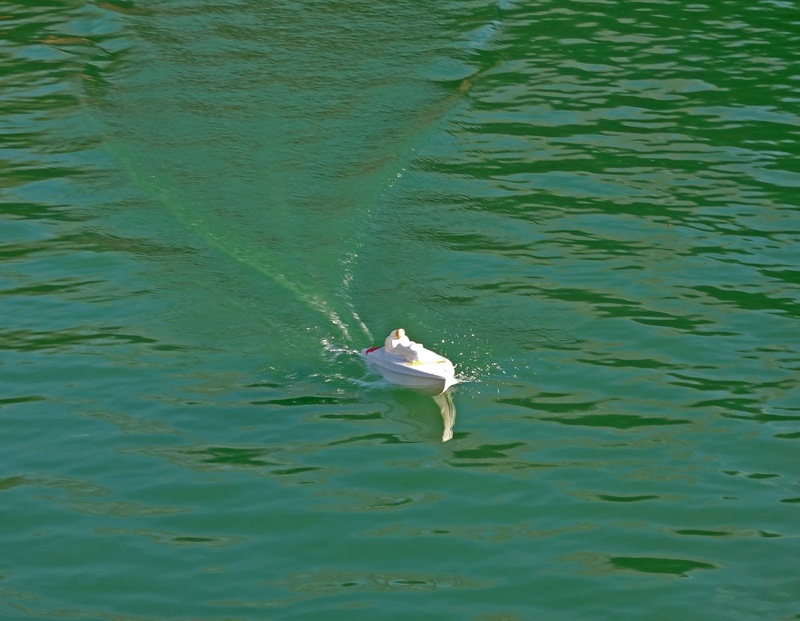 Opening the throttle, it slipped across the water. I say slipped because it seemed so much smoother than previous sailings. There is no box dragging behind and it shows. The nose kept down enough. Steering was good too. I'd been worried that there wasn't enough movement in the rudder but it's pretty much perfect. I don't expect the model to be as maneuverable as my Bantam Tug, but it can still be swung behind the overflow pipe in out lake without hitting the bank - my standard test as it's the tightest turn you can make to dodge things. Battery duration is really good. I got 15 minutes out of the set with more to come. Not bad on only the second charge. Speed is OK. It looks about right for the model although I'd like a bit more. Maybe a more aggressive prop is the answer as I don't have any obvious space for more cells to give more volts. Anyway, I'm happy. Now I can think about some paint. For reasons that will become obvious in the January issue of BRM, I've become interested in Canadian things recently. 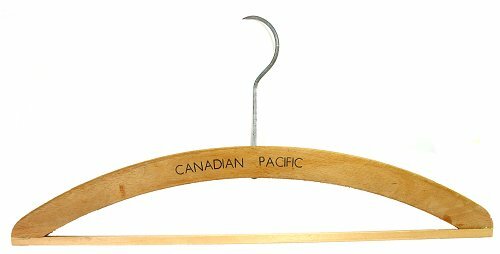 Spotting a Canadian Pacific clothes hanger on a second hand stall for little money, I picked it up. I like wooden hangers and advertising ones are especially appealing. A silly thing, but they are usually good quality and come with some history. I like to imagine who has owned them before me - you don't get that with plastic! Anyway, the hanger was obviously missing a bit along the bottom. At first I assumed it was dowel, but a look online showed me that something either square or rectangular was required. Not being able to identify the wood the hanger is made from (go on, someone tell me) I've used some basswood (lime) as there was a length about the right size in the stash. It's too light but then I'm not pretending this hasn't been repaired, I just don't want it to look broken. The corners needed jointing with some dark wood, more from the stash, and a couple of coats of sating varnish finished the job. I know this is a daft project, but I get an odd sense of satisfaction repairing something that might otherwise have been thrown away. It now hangs in the wardrobe with a shirt on it doing the job it was designed for years ago. 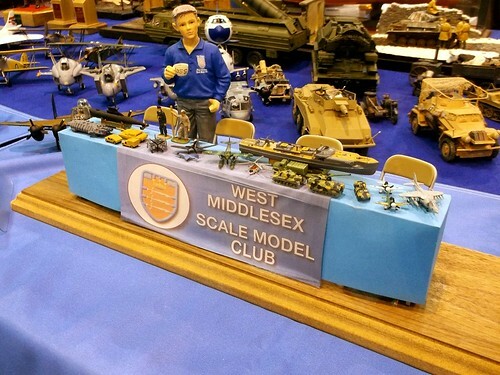 "Why are there radio control trucks at a model boat show? ", people asked. 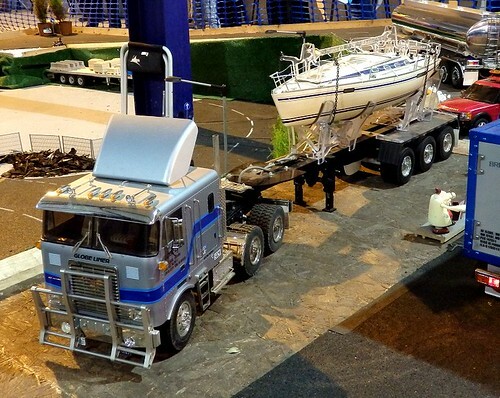 Having seen the trucks before, the answer seemed obvious. 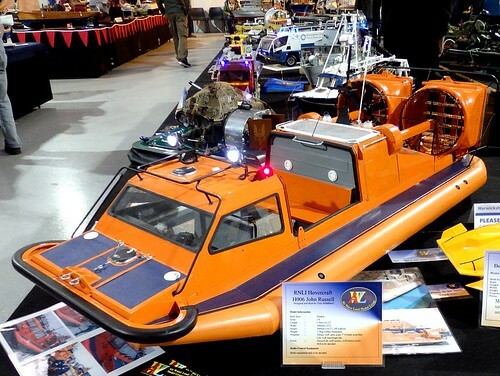 They are terrifically entertaining, certainly more so than another few stands of static boats, many of which are making a return visit to the show. That probably sounds cruel, but this is an event that deserves a shot in the arm and the organisers decided to take the brave move to open it out a bit. 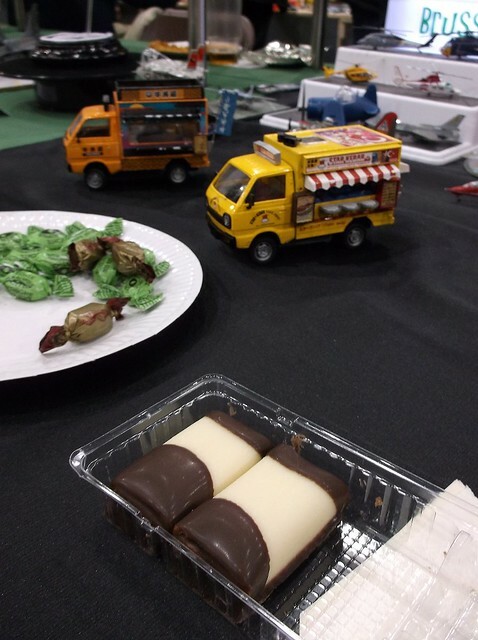 Therefore, in front of our stand was a large working roadway with trucks noisily travelling around. The public loved it and there were loads of films made on mobile phones. With the ever popular boating pond at the other end of the hall, I bet that there were many more satisfied customers, at least among the general public. While this might not satisfy the purists, if hobbies generally are to grow, we need to engage people. My only complaint is that there wasn't really any specific trade support for the trucks. Not through lack of trying - hopefully this will change next year as the word spreads and R/C truck fans start to visit. With my engineering hat on, I noticed a few non-boat display items appearing on other stands too. Again, not a bad thing, but you wonder how long before we have a general radio control show? The site would be perfect for some off-road car racing. If they kept the marque from the ME show a few weeks earlier, there would be plenty more space for aeroplanes too. I only made it to the Sunday this year, and even then forgot my ticket so had to pay to go in. The minute's silence was much better handled this time although the guy on the Surface Warship stand had less excuse than everyone else not to shut up. Eventually, he realised but I'm afraid when you are surrounded by grey boats all weekend except at that point as they are all on the water, then you shouldn't need telling. 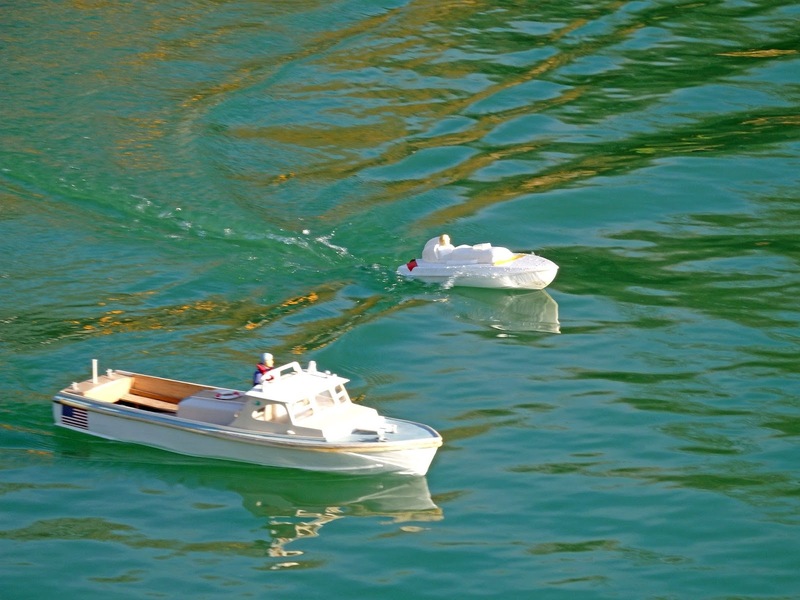 Being a Sunday only person removed the one bit of temptation - a springer tug hulled ferry on the (new to me) Omega Model Boats stand.The price was good and it looked fantastic. They only had one and it sold before the show opened. I wasn't the only person glad of this! Anyway, the upshot of all this is the variety of models in my Flickr gallery is very wide this year. Something for everyone! 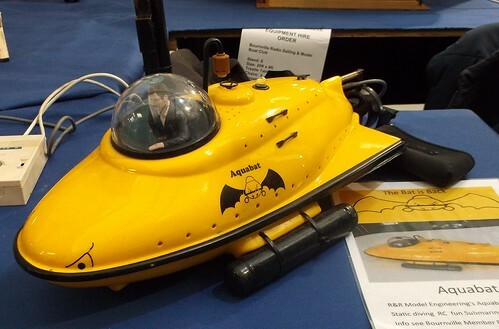 It's another Phil Parker production this week with some footage from last week's model boat show. I'll explain why there are trucks in there tomorrow, but for the moment, sit back and enjoy the portentous music and, considering this is all hand-held, reasonably steady pictures. Today, I'll be heading to the NEC for the Warley National Exhibition. Friday is all about chatting to people and photographing as many new products as possible. It's a lot easier to do this than once the show opens up. If you are coming to the show, I'll be on the BRM stand - B22 - or wandering around chatting and reporting. There will doubtless be some filming as well. If you see me, please stop me for a chat. If I'm not rushing to get somewhere, it's always good to talk. 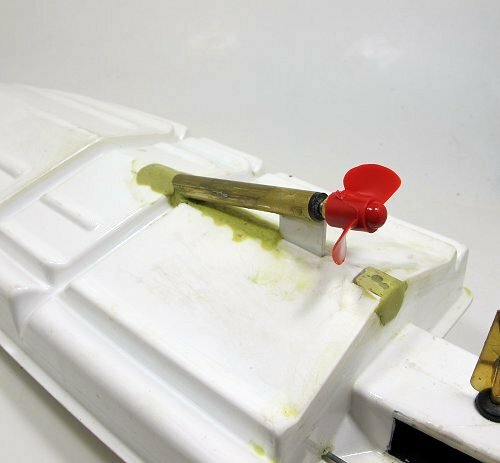 Taking a deep breath, I hacked the rudder support box off the back of my vintage speedboat. Reaching the point of no return, I sawed it off and looked at the resulting hole. I'd done a really good job of sealing up the inside of the box with epoxy glue. Sadly this was now on the workbench and my hull would now float in exactly the way a brick doesn't* what with a gurt big 'ole in the back. Plastic sheet built up in layers and ABS glue made a big difference. This was followed by more epoxy to seal things up. The flange around the edge was built up to match the rest of the model - I know this isn't a prototypical feature but I'm not deseaming the hull now. Next, Milliput was applied lavishly and left to dry for a couple of days. I never have a lot of luck with this stuff normally, but this time it was OK. Most of the filler was filled and sanded away and the results feel smooth. 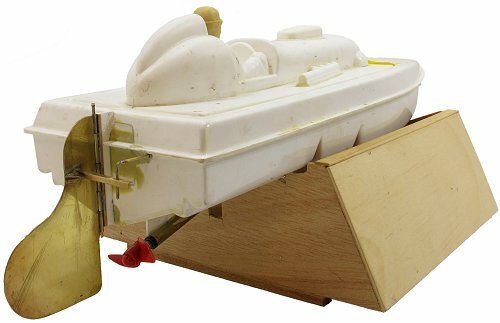 Finally, a plastic post supports the new rudder. 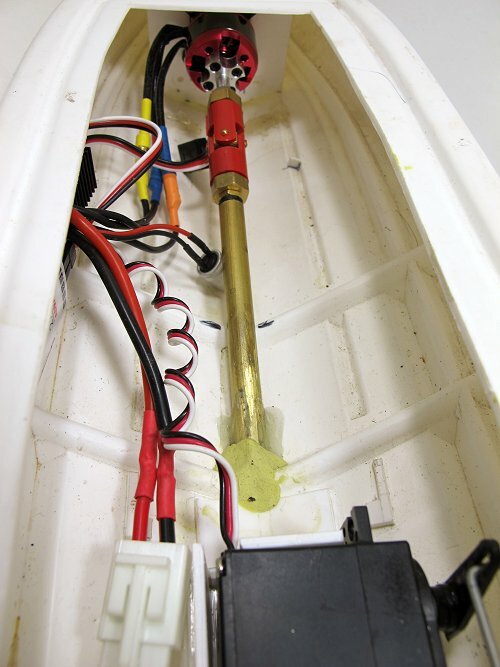 The boat side of the hinge is soldered to some brass U-channel and the plastic fits inside this. A new piece of wire connects the sterring servo to the blade. It doesn't seem to have much movement, but we'll find out when the boat goes back on the water next week. Warehourse Wedneasday: Church repair, corrugated iron special! 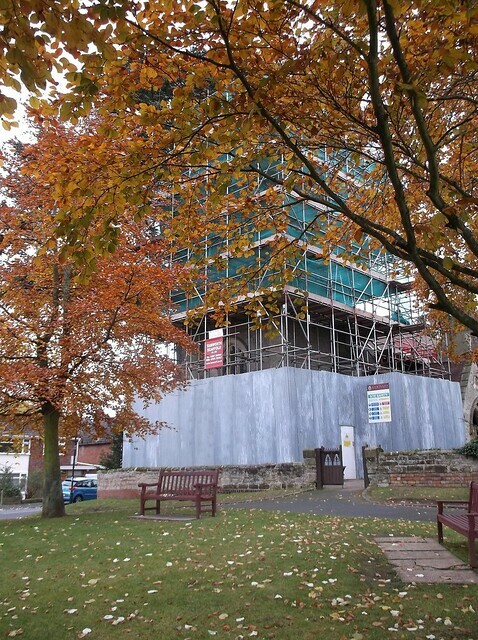 Our local church is under repair, and it appears they have called in builders from 1954 - how else can you explain the corrugated iron hoardings? Building sites have to be well fenced off nowadays to stop da kidz hurting themselves and thieving adults helping themselves. This normally involved big bits of that large flake chipboard whose proper name escapes me at the moment. If I'm going to mess with the speedboat, I might as well do it properly. And since the feature I like least is the ugly rudder-support box hanging on the back, I'm going to cut it off and replace it with something nicer. Nicer, in this case, means a brass rudder with curves based on a roll of insulation tape knocking around the workbench. 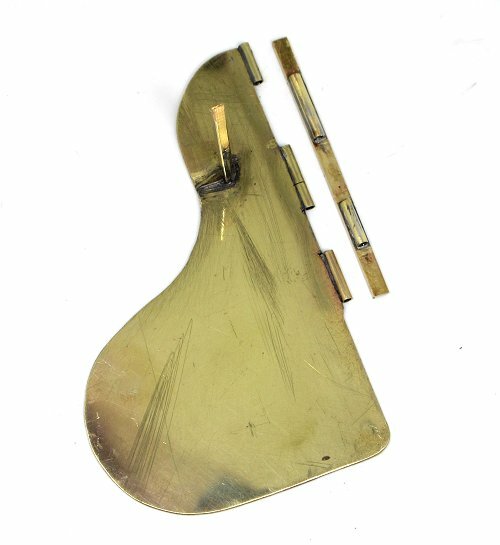 Using this and a pen to mark the lines, a piece of brass was cut out with a piercing saw (6 blades broken) and then fitted with a tube up the back edge. This was cut with the saw and two sections removed to be fitted to some square u-shaped channel. Dropping some wire down this turns the whole lot into a hinge. Operation will be by the angle brass lever attached to the side. I've beefed up the join with some rod that fits through the blade, I don't fancy just relying on the solder. A quick clean up and all looks OK. I fancy a coat of red paint for this but I'll need to apply that without gumming everything up. 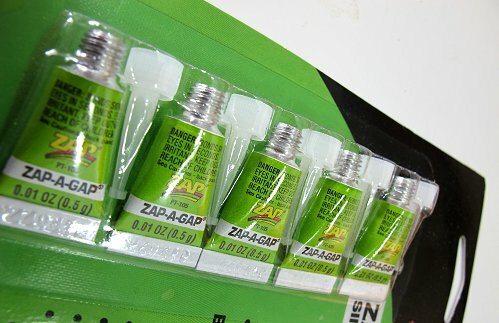 Regular readers will know I'm a fan of Zap products. Their superglue is my favourite and I find the other adhesives pretty impressive too. Sadly, I've not found them to be portable. At least when I have a bottle in the exhibition tool box, it usually goes off before I get much use out of it. Which is why I was pleased to find these on the Nexus stand at the recent large scale aircraft show. 5 micro tubes of glue. Left sealed they should last for ages and despite being described as single use, I reckon they are single show tubes. Unless I've broken a lot, one should last a weekend. I know people will say that you can buy glue from the pound shop for a lot less than 79p a tiny tube, but it never works as well as Zap for me and when I need emergency superglue, I want it to do the job perfectly. There's probably no time for mucking around! Single use tubes on Nexus. The first lesson I learned last weekend was that buying an advance ticket is a good idea. I learnt this as I stood in the queue for admission to the IPMS show, arriving ten minutes after the event opened its doors. I waited for 40 minutes. Next to a family with an annoying, whiny child. The reason for all that waiting was the huge number wanting to visit. Indeed, this was a bumper year according to the organisers. I'm glad I didn't get there 10 minutes later, they would have been standing for an hour. Inside, there were over 140 traders waiting for me and tens of thousands of models to look at. It's a daunting prospect. To be honest, I could ramble on about all this, but you'd rather cut straight to the photos. Instead I'll just say that much of the day was an exercise in denying myself things. Revell Visible V8 for £45 - Massive box to carry and then store until I got around to it. 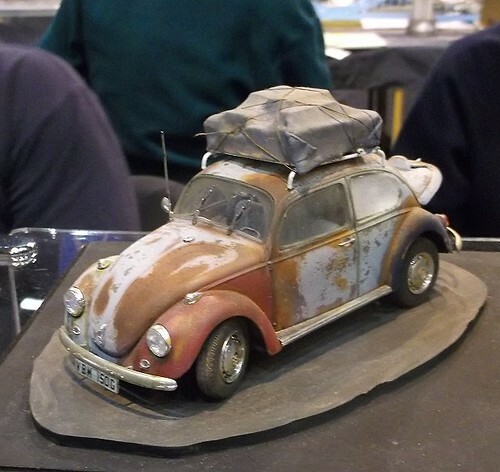 A studio scale SHADO mobile for £550 - OK, if funds and storage space were more generous. Who wouldn't want one? 4 model boat kits in a box £10 - Slightly random selection of scales and not very detailed. Useless in many ways but fun. Airfix B type bus kit £10 - Looks fun but what would I do with it? Italeri Mk2 transit van kit £20 - Less than 2/3 normal price and I'd like to build it a lot, but not yet. And there were loads of others. The trouble with me is that I can't wander around a show like this without being tempted. Everywhere I see things that would be great fun to build. I just have to keep telling myself that I have more than enough projects. I also had to resist eating lots of sweeties. Most of the stands seem to have a bowl at the front to tempt visitors. The Brussels model club did get me with the marzipan cakes though. As it was, I came away with a vintage Lindburg motorised tugboat kit. It looks big enough for small radio control and will be fun. An added advantage was that the box was just a bit too big for my rucksack so constantly reminded me I had spent money and should avoid spending too much more. That and a Revell beach buggy, simply because I can't justify the old Airfix version I really want and it was only £5.99. There are some tools and other bits too, but I'll mention them in the future. In the meantime, I had a really good day and I took some photos. Head over to Flickr to see them. Next year, I'll be the one with an advanced ticket in my pocket! I wish I had a time machine. A trip back to 1961 when this BTF film was shot would be high on the agenda. It's a world I never knew and yet spend lots of time trying to recreate in miniature. Fascinating. Can't find what you want? Try this. I have been a regular reader of "Phil’s workbench" for a number of years and always enjoy your varied topics covered, relaxed writing style and give it ago attitude. Making the majority of modelling subjects sound easy. I have recently started modelling a narrow gauge 009 layout, which I am enjoying immensely. My question is - Your blog contains a wealth of information. Is there an easy way that one can search a particular subject? Good question. 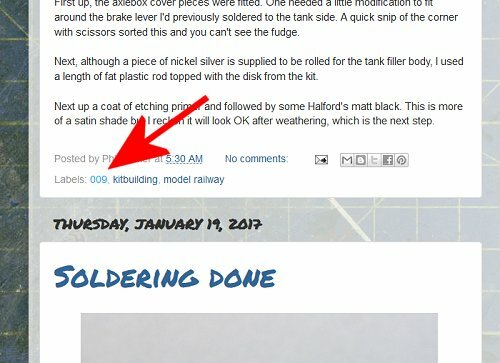 According to Blogger, this is post number 4215, quite a lot to dig through. Fortunately, there are tools to help. For the purposes of this post, I'm assuming you are using the desktop version of the site. Mobile is similar but different and if you are using voice control because you live in the future, you're on your own. First, scroll down the page and look at the right hand side. There is a list of Labels categorising the posts. Just click on the topic and all the posts relating to is will be brought up. Some posts appear in more then one category and because it relies on me tagging each one properly, some that should appear might not. I do try to be consistent, but like most humans, I'm a bit rubbish at it sometimes. Those Labels also appear at the bottom of each post too. Again, click on the link to bring up all the posts on that topic. The same caveats apply, but I try to be consistent within a project so at least you should find all the entries for that. 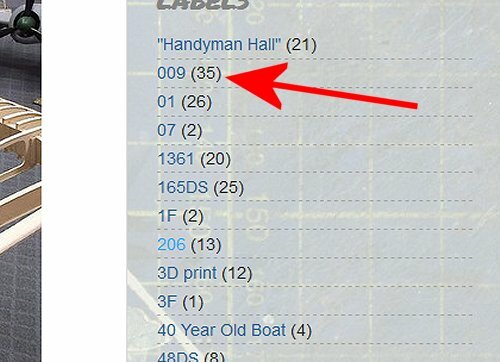 If the Labels don't help, there is a search box on the top left of this page. I use this a lot, mainly to find out when I wrote a particular magazine article when someone asks me. A sensible person would keep a separate list but I just mention publication on the blog so the search can find it. 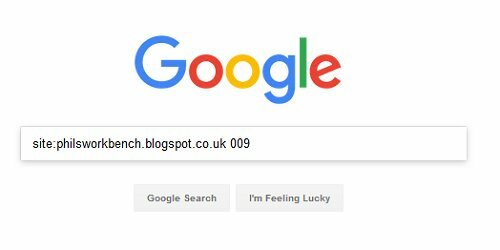 If this search isn't enough, then you can also force Google to narrow its searching to a specific website. 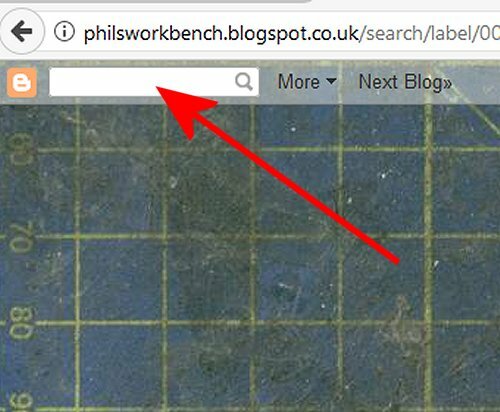 Just enter site: then the address of the site to be searched, philsworkbench.blogspot.co.uk in this case, a space and then the terms to search for. Hopefully this helps. I've put a lot of content up on this blog, so anything I can do to help people find it is worth a go. Well, apart from re-categorising every post! If there has been an aspect of model engineering we've been lacking in EiM over the last few months, it's been proper drawings. Popular with readers, the struggle has been finding anyone willing to produce any. Drawing requires a particular skillset and takes time - writing and photographs are far quicker by comparison. Those following the EiM steam plant series need drawings however, and Martin has furnished us with a set for the displacement lubricator. We've allocated a big chunk of the editorial space for them but I think it's worth it. Elsewhere we have a William Foster engine in 4 inch scale, minimum gauge railways and knurling among other topics covered. More on Engineering in Miniature. 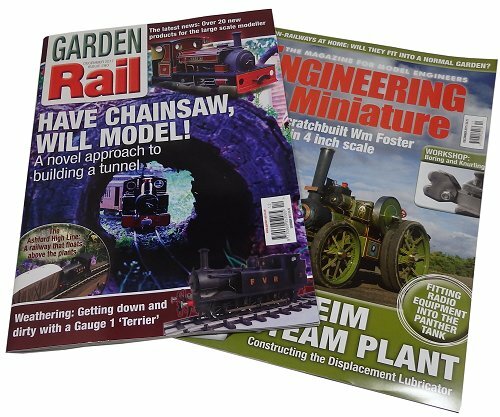 Garden Rail has gone a bit christmassy with a cover feature requiring an unusual modelling tool - a chainsaw! Now, I don't have one of these in my toolbox, perhaps I should ask Santa? 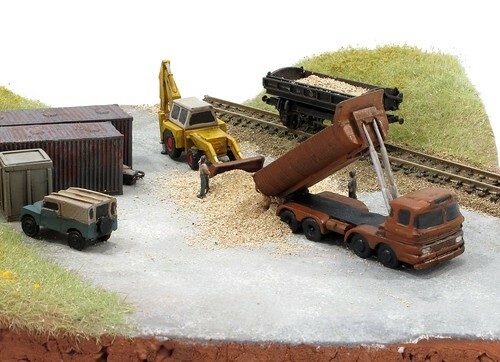 There's also some lovely Terrier weathering in G1 using powders, clockwork powered trains showing there is a use for all that old Hornby O gauge stuff, a giant turntable, G3 wagon, Ragleth personalisation and the largest Product News section we have enjoyed for quite a while. Our poor designer had to cram rather a lot of news into a smaller space than would be ideal, but he came good and I think it shows a hobby very much on the up. Here's something I didn't think I'd ever right - Waiting for a train at Tamworth station a couple of weeks ago, I became fascinated by the concrete fence. I'm not sure why, but it has lots of modelling possibilities. 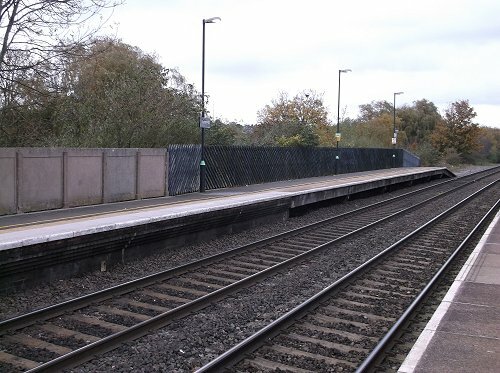 Pre-cast fencing can be found at many stations, especially in the South of England. 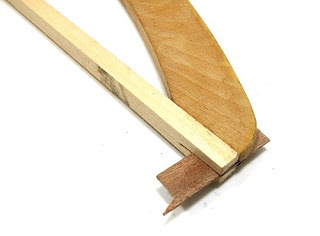 For the scratch builder, it's got to be easier than trying to build that picket wooden stuff. 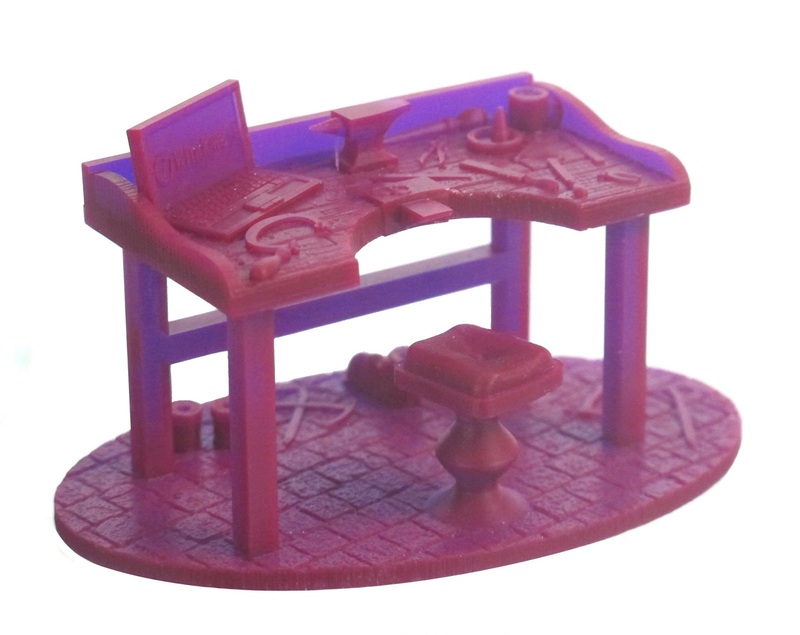 Ideally, you would make the bits and cast them - or use the Ratio plastic kit stuff which is a bit like this. Most of the panels are around 5ft high but a couple of 6 footers are also to be found. I'd guess these are replacements as there's no real reason for them to be here. 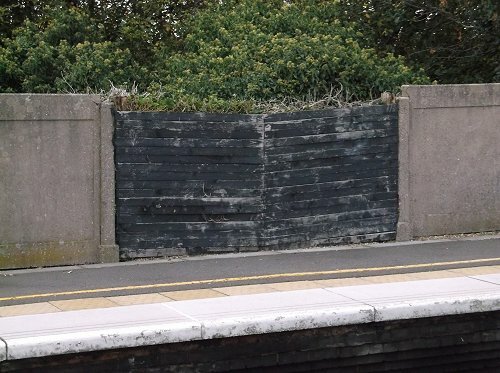 Where the platform has been extended, wooden fencing joins the concrete stuff. Presumably there aren't stocks of the original panels, or are they just too heavy or difficult to fit? 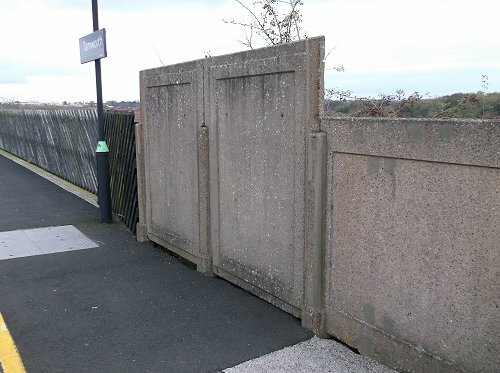 There are a couple of gates in one side to allow access from the road. 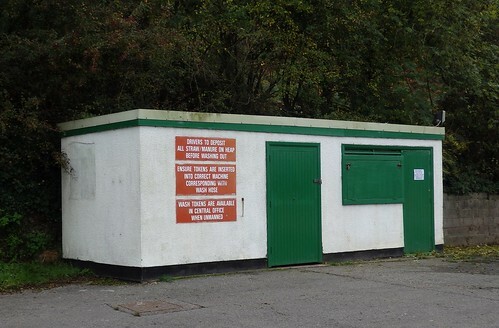 Once is still in use but the other is crudely boarded to keep the undergrowth out. 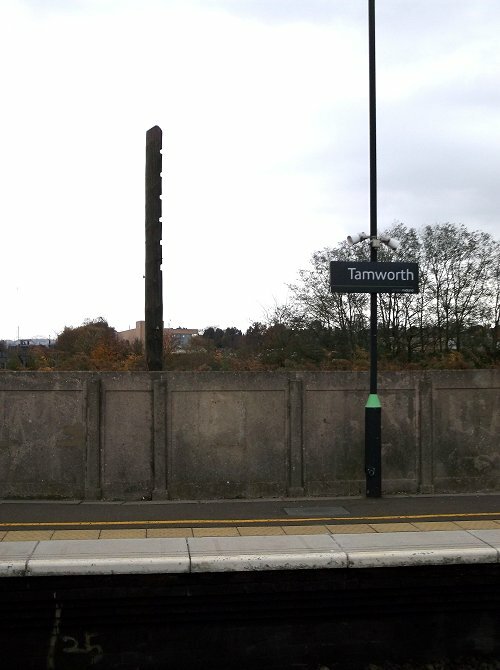 Tamworth is a very interesting station for other reasons - mainly it's two stations, one above the other at right angles. 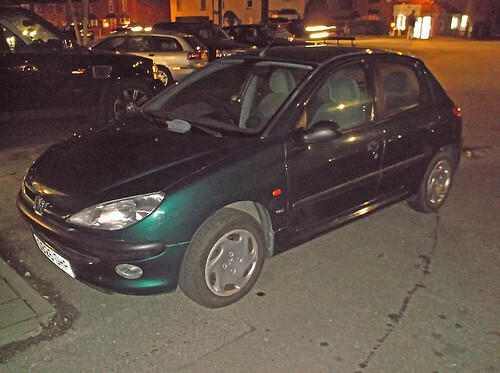 Last week, my trusty little Peugeot 206 went off to a new home where it will hopefully put in a few more miles service as a courtesy car. With a year of MOT, the buyer got a bargain. Most importantly though, instead of sitting on my drive deteriorating (cars need to be used, sitting around is bad for them) and making me feel guilty for not using it enough, it's got a new life. This leaves me with the job of sorting out the paperwork. Like a proper classic car owner, I kept everything. If I spent any money, the receipt went in the folder. Over the years, I built up quite a pile of dead tree. The new owners didn't want all this stuff. If the car is a bona fide classic then it's valuable but while the car is languishing at the bottom of the value curve, it's just rubbish. Most of it has now gone, but I couldn't throw everything away. 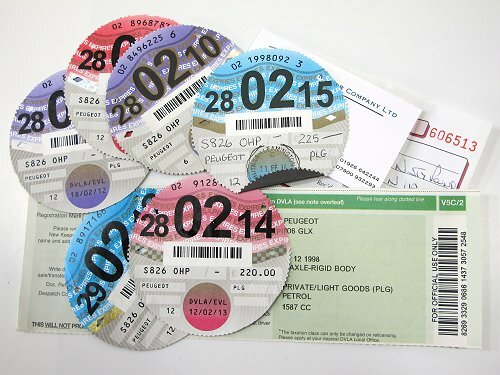 Tax disks for example, they seem fun to keep, especially now you don't get one in return for hefting a chunk of cash in the direction of the government. I feel sorry for classic owners that there's no souvenir any more. I've kept the original sales receipt and the advert I spotted on-line too. No particular reason for this other then sentiment I suppose. The folder is now a envelope and it's pretty thin, but as least I have something physical for remember the car by. And yes, I am vaguely aware how sad all this seems. I purchased these lorries many years ago and was told that they were "Colour Trials " I cannot prove this and have no provenance. Fair enough. I paid the sort of money I'd be happy to part with were I simply planning to cut these up and repaint them as I used to do back in the 1990s. They are an interesting pair. British Steel adorns the blue cab, Lofthouse the green. On the back of the sides, Beatties is printed. It's a proper Tampo job, not a dodgy transfer. I can't think anyone would want a limited edition with the shop name on the back. Surely that defeats the purpose of the cab lettering? Assuming they are what I've been told, they make a nice addition to the collection. Can anyone tell me more? As ever, the static Large Model Aircraft show was home to superb workmanship in wood. There seemed to be a larger number of part-finished models on show this year, which bodes well for next years flying season. I enjoy seeing built but uncovered models. The structure is fascinating and often strangely beautiful. 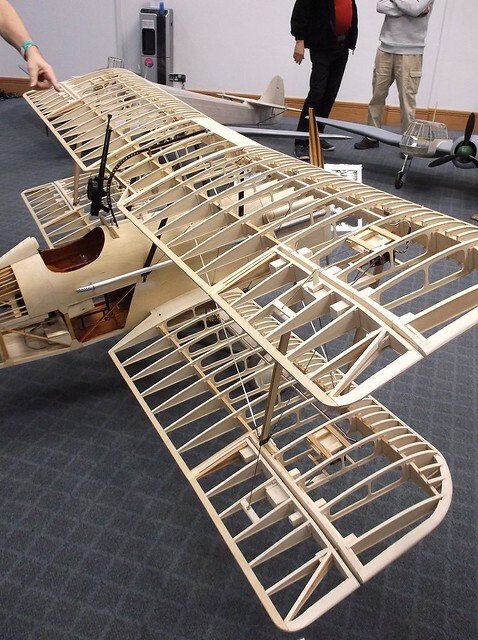 Laser cutting has revolutionised this hobby, with most of the basic airframes being made this way. Producing lots of identical, or at least graduated slices of a wing is much easier when a computer is doing the cutting. That's not to say there is no skill involved. Quite the opposite. Once assembled, the frame has to be covered, often in wood and film, then fitted out with both power and radio equipment. Then they models have to be finished, and the standard of this is superb. Finally, after CAA approval, the model has to be pointed into the sky. Prototypes a plenty were on show. 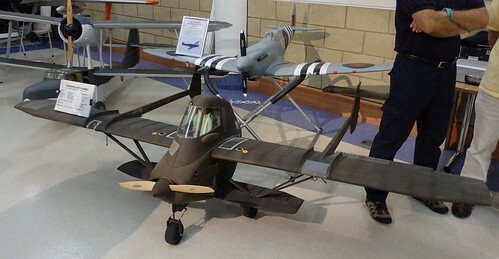 The Skyfarmer and Cessna Skymasters are odd-ball choices but so much more interesting than WW2 planes. Or at least, the lover of the unusual anyway! 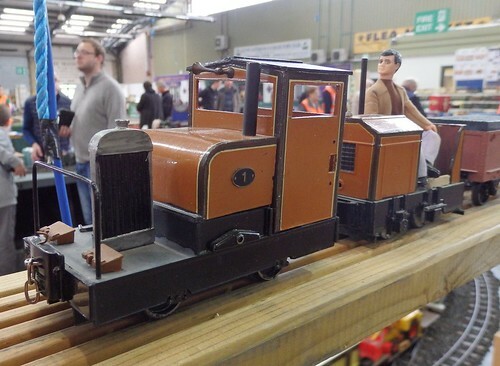 A bit of lineside action shot at Exeter show a couple of weekends ago. Lots of steam chuffing around including some hot Bowman action. Sorry it's a bit wobbly and wonky, I need to work on that. Sorry for the fuzzy photo - steering and taking pictures isn't easy, especially when the boat nips along at speed. All my efforts re-working the drivetrain seems to have paid off. The boat is now a lot closer to the speed it should run as. Even with the battery running down (Note to self: Charge it up before you go) I wasn't unhappy with the pace. There is more to come too I suspect. As you can see, the model runs with its nose in the air and that means the prop is firing down as much as it is along. A bit of weight in the nose should bring things down. I'll look at moving the battery too, at the moment it's held in with Blu-Tack. I still think that ugly box on the back for the rudder isn't helping either, but I have some ideas for a replacement. Our Cake Box diorama competition has been very successful and this month I've dropped down a scale to build a scene in N gauge. 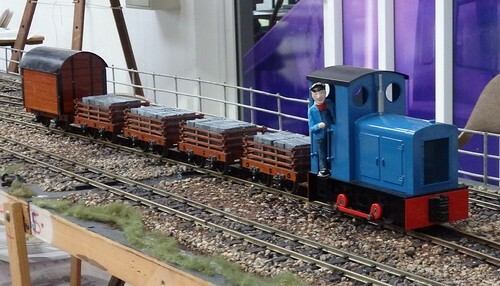 Inspired by the DJM Mermaid wagon, I've aimed to represent a preserved railway PW department loading up with ballast. The vehicles are whitemetal kits and it was great fun to be able to build a JCB. "Big diggers" always fascinated me as a child and I still can't walk by one without watching for a while. I'm sure operating a digger isn't nearly as exciting as it appears, but I'd love to have a go. Weathering locomotives is a perennial subject for model magazines, indeed there is a mag devoted to the topic, but it's popular and hopefully useful to readers. I've taken a different tack from normal in an effort to get people to have a go. 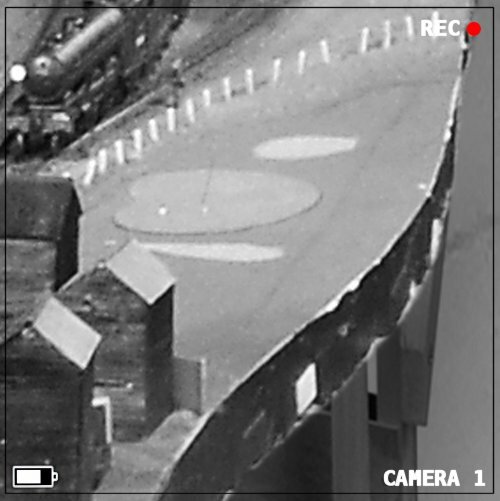 Using the cheapest Hornby 0-4-0 as the basis, only Humbrol products have been used - washes, paint and powders. As the most readily available range, at least getting hold of the materials shouldn't be too hard compared to the specialist stuff. It's Christmas of course and so Andy York and I have put together some ideas for presents to suit all pockets. Finally, one of the most interesting trips I've had while writing, a visit to jewellery manufacturer Weston Beamor. Originally planned as a look at the very highest quality 3D printing, we were treated to a tour that took us through the entire lost wax casting process. Most cast metal components, aside from whitemetal, are produced in this way but most people don't really know what is going on. Well, they will now. Best of all, if you can produce a CAD file suitable for printing, the helpful people there can turn it into metal for you. More details of the December 2017 issue of BRM. OK, not a prototype photo today, but an interesting blast from the past. I picked this Modelcraft plan up a few weeks ago. These old modelling products fascinate me, especially if they are cheap. This one is certainly redolent of a certain era withing the railway modelling hobby. 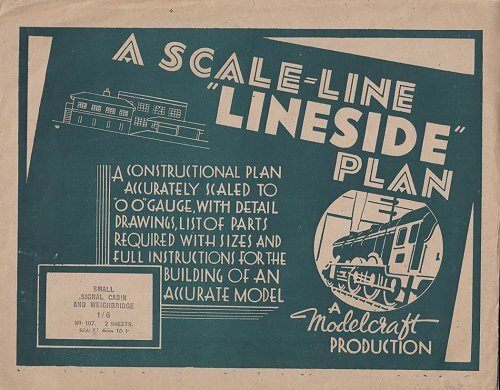 Despite being able to go out to the local railway line and see the real thing, modellers were feed plans like this that were a long way from scale. Edward Beal was a particularly bad offender with books of drawings that looked like crude models rather than the real thing. I've never understood this - why not draw scale plans? The weighbridge on this sheet is terrible. How long is it supposed to be and did no-one point out that the windows along the side never looked like that? 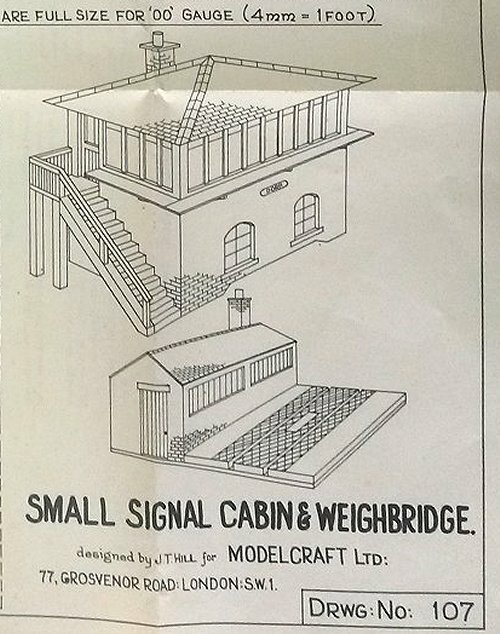 I'm thinking that this was from the days of model railways really being posh toys. Certainly a scale box as we might build would look out of place next to 50s RTR. It might not look like much, the getting the speedboat to this stage took loads of work and quite a bit of nerve. On the basis that the propshaft exiting the hull at the bottom of the V was leaving it flapping around in the air, I decided a more conventional position under the boat would be a good idea. There is a reason things are conventional I suppose - because the work. Of course this meant I had to gently prise the well glued in components away from the ABS hull, something I managed to do without breaking anything. I have a nasty feeling this glue isn't sticking to the plastic as well as I might light, but for the moment I'll live with it. Ascertaining the correct place for the shaft to come out of the hull was done by trial and error, which explains the long Milliput lump underneath it. My idea was to keep the shaft as horizontal as possible with the propeller just clearing the bottom of the hull as it spins. A little plastic support seemed like a good idea, although I don't think it's essential. Inside, the motor has to move upwards, just under the deck. It fits more by luck than judgment but the drive train is aligned pretty well, Everything rotates freely so for the moment I'll live with that. Best of all, the servo can go back in the same position so that's one job saved. Now I need to test it on the water. File this under: Phil's not going mad. For months, I've been trying to explain to my magazine colleagues that there used to be a column in a model railway magazine "written" by a dog. Specifically, by a bloodhound called "Baz". As I recall, "Bazzing Around" involved Baz looking closely at the details of a locomotive. As well as photos, the articles were illustrated by line drawings showing specific parts of the machine. The only trouble was, I couldn't find an example and people were beginning to think I was nuts. Then, a few weeks ago, I was flicking through the November 1976 issue of Model Railways and there is Baz. He's not looking at a loco this time but a section of London Underground track. Baz points out the different parts of a crossing. Not exciting stuff, but worth studying if you aspire to better trackwork. Oddly, I can't see another appearance in the same year, nor one before or after. I'm sure there are more but for the life of me, I can't find them. Please, someone, tell me they remember Baz as well! Another new show for me, and this one is the longest run yet. So long, I decided a stopover at a nearby Holiday Inn would be preferable to 3 hours or more on the M5 twice in a day. I also discovered that Bridgewater services is a dump and you can't park. I'm told I'm not the first person to discover this. Glamour continued as I arrived at the venue, a cattle market with the smell of agriculture in the air and the sounds of an unsold resident bellowing from the depths of the stalls. I understand that the sale had been the day before and when setting up commenced, the aroma was somewhat stronger. Fortunately, I don't mind the whiff and it had pretty much cleared as I waited in the car park. As it happens, I bumped into Tag Gorton and so when we got inside, rather than hanging around the massive second-hand stall, we exchanged pleasantries with a gentleman of the trade and then headed off for a cup of tea. You can tell that they are used to serving farmer as tea is a bargain £1 a cup. Later on in the day, this was re-inforced with a cracking meal, again at a bargain price. All shows should be held at cattle markets! Bargains were well in evidence. Luckily I didn't have my chequebook with me, and the nearest cash machine was a drive away, as there would have been another trip to the car from one of the other dealers. One thing this shows has in abundance, is layouts. A quick count up shows over 20, unusual for a garden scale event, but great fun. 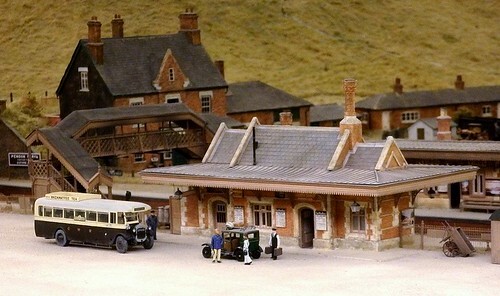 Pump houses seem popular in this area with at least 3 on different layouts. Perhaps this is the proximity to Cornwall? The Bowman layout was certainly a novel model. 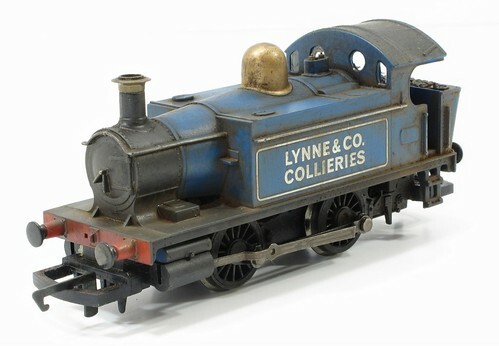 We are used to seeing vintage Hornby and Bassett-Lowke but Bowman were smaller manufacturers so the products are rarer. Not that this worried the owners who were thrashing them around the track, just like they were meant to. As usual, there was a lot of chatting to do. With several engineering clubs present, I was doing my best to get people writing for EiM as well as Garden Rail. I met a few garden scale traders I'd not seen before too, making the trip well worthwhile. More photos on Flickr. I shot some video, which I'll try to bring you next week. Thanks to Brian Macdermott for spotting this rather nice filmed day out on the Bluebell Railway. I like that the filmmaker has shot people as well as locomotives. There's a lot more atmosphere here than you might expect. Volunteers doing a job won't look that different to workers from the real steam era. Why are people in fancy dress at the railway club? Last Thursday, we had one of the most entertaining evenings at the railway club for a long while. 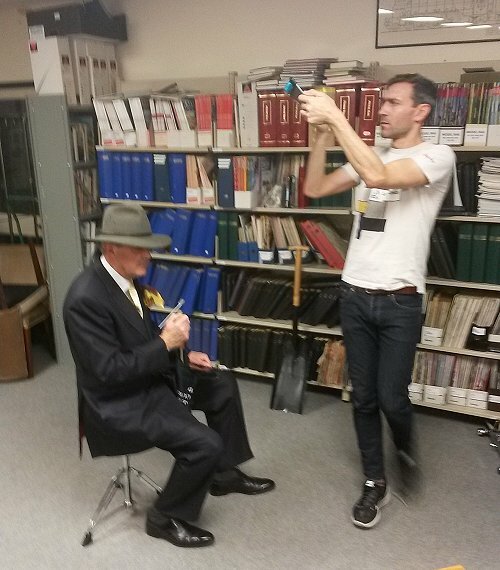 Alan Buttler of ModelU had been brought in for a mass scanning session. This should have taken place earlier in the year at a weekend but had to be postponed due to illness. The new date was a normal Thursday evening and so the social area was turned into a studio for the duration. Lots of club members really got into the spirit with many dressing up for the occasion so their figures are suitably attired for the era of their layouts. We actually had a couple of people in suits, something never seen before, and plenty with overcoats and hats. Some used the props Alan brings along so they can be drivers or firemen on models. One couple were even posed having a row! Scanning slots were organised before the day but progress was faster than expected so a few more people could be fitted in. 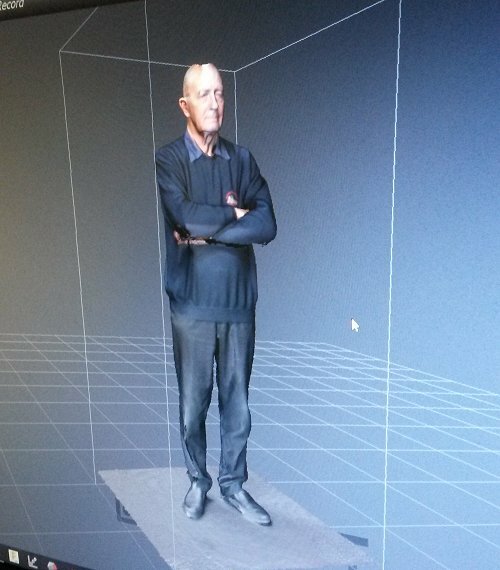 On that basis, I've had my Dad scanned so he can stand next to me in miniature on layouts in the future. 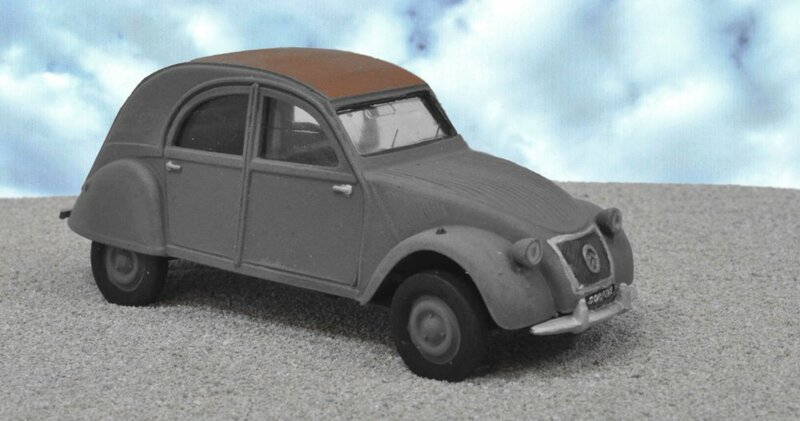 Parked on some chinchilla sand, the 2CV looks pretty good. It's not a sophisticated kit but I think it looks the part. More to the point, it was fun to paint and stick together - exactly what I need at the moment for light relief. I've not weathered the car, yet. Once I find a suitable home for it, perhaps a bit of dirt will find its way on to the body, but that's for another day. Spotted at Exeter cattle market - I reckon this little wash block could make a nice anonymous building in the corner of many yards. It's the sort of simple building we often need, but is a tough job to invent because it has to look right but then be invisible so to speak. 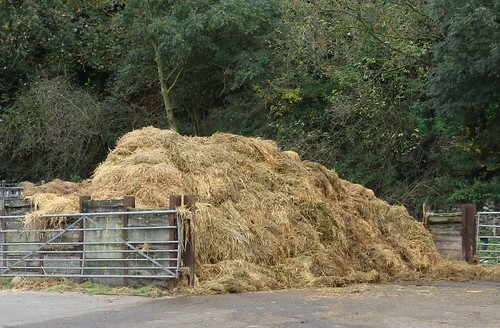 Lots of straw in there, easy to model using shaved teddy bear fur or beige electrostatic grass. 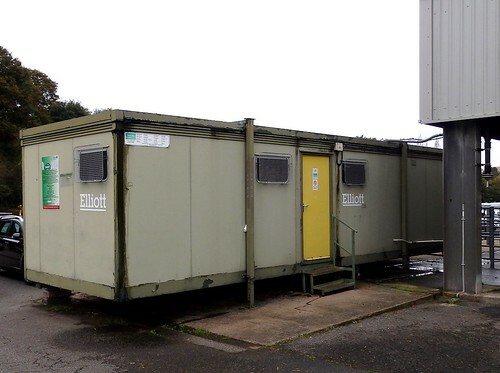 Bonus building, a tatty Portakabin. Useful leg and peeling paint detail for any model.